Looking for the perfect potluck and picnic dish for summer? This is it! This salad combines fresh watermelon with a tangy and spicy dressing for an untraditional twist on a watermelon salad. You’ll be enjoying this all season long! 1. Mix olive oil, honey, chili powder, apple cider vinegar and sea salt together. 2. 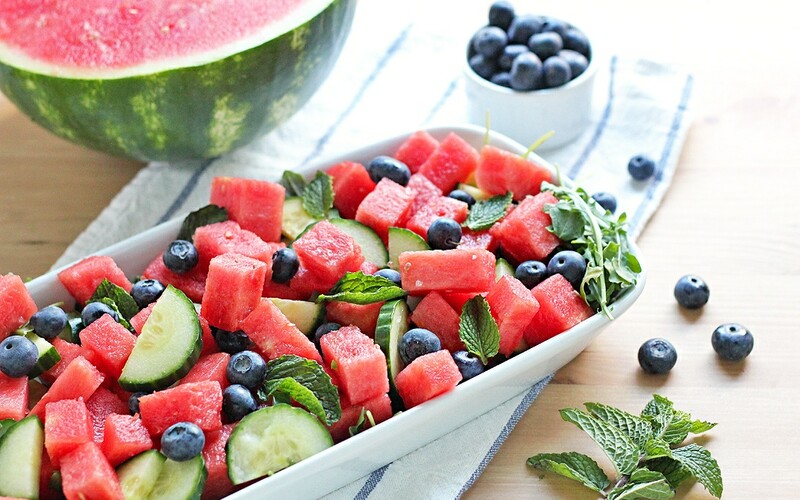 Toss arugula, blueberries, cucumber, watermelon and mint together. Drizzle dressing over salad just before serving.